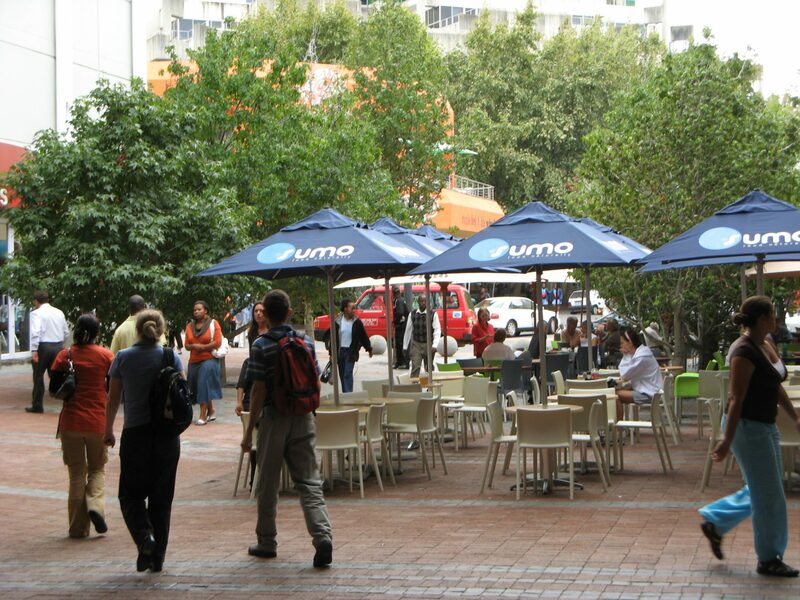 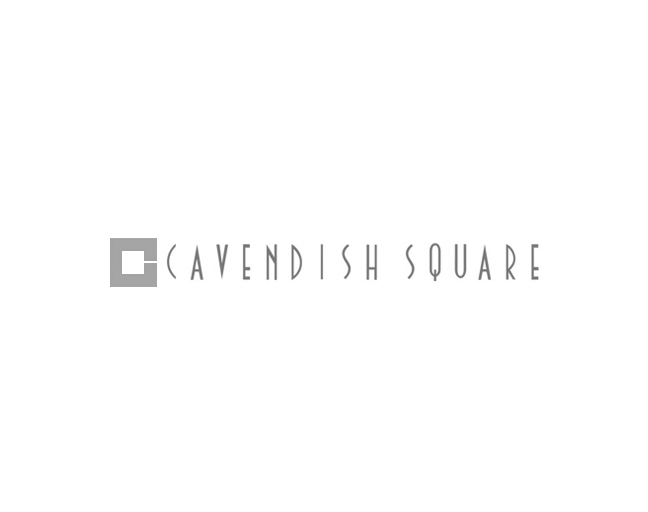 Cavendish Square is a premier shopping mall destination in the heart of the Southern Suburbs in Cape Town. 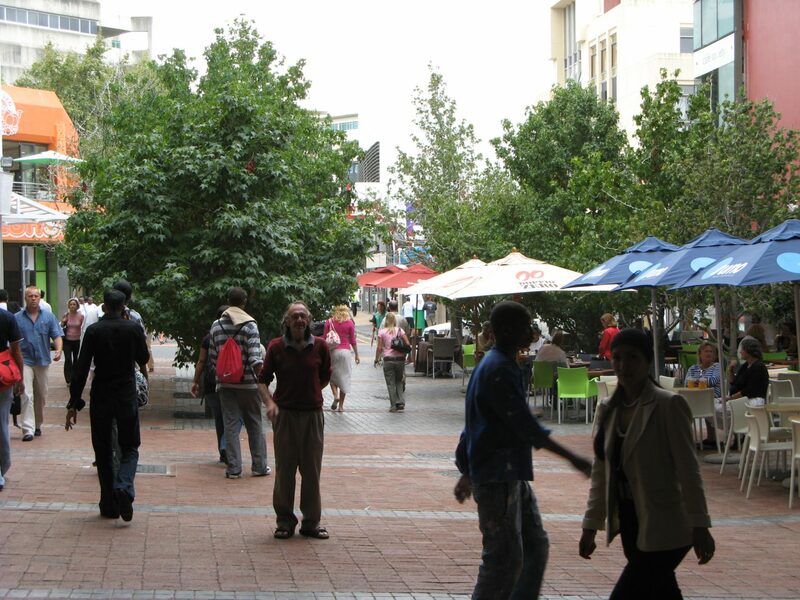 Trees SA supplied and installed 26 mature trees to provide shade and green up the expansion corridor of the mall. 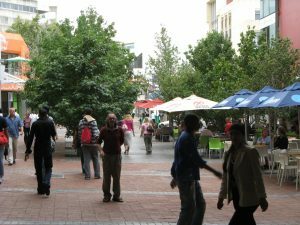 We all know that there are many benefits to planting mature trees in the urban environment like the instant shade and the “cooling effect” it creates. Cavendish Square shopping mall expanded into a neighbouring building and needed to create a “Green Corridor” to link the two buildings. A total of 26 mature Liquidambar styraciflua (Sweet Gum) trees ranging in heights from 8 to 12 metres in bag sizes of 2000- and 3000-litres were installed over a few days. 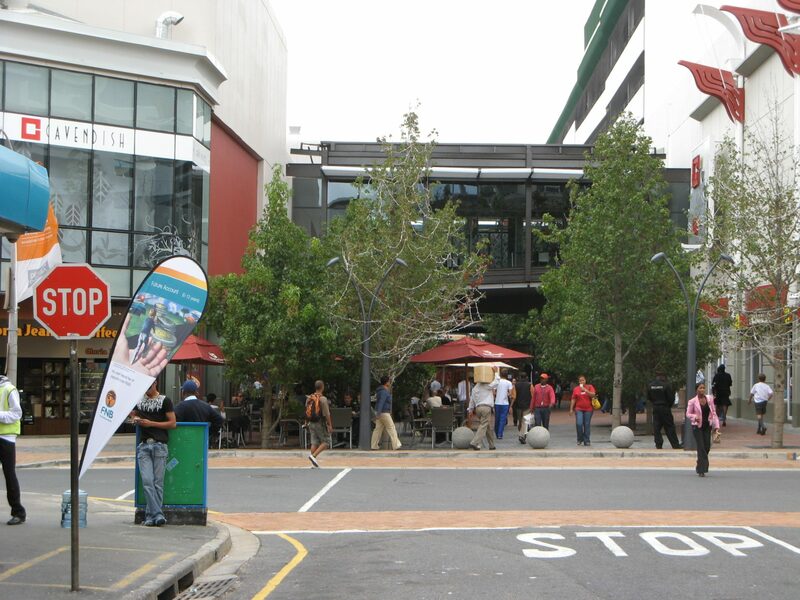 Instantly creating a Green Corridor. 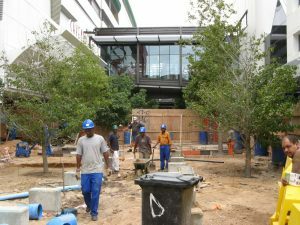 The challenging aspect of this project is the access to the planting positions for these very big trees. First of all, we had to work over the walkway, which limited the distance at which we could plant the trees and required careful communication between crane truck operator and riggers to ensure the tree is lifted safely over the walkway. 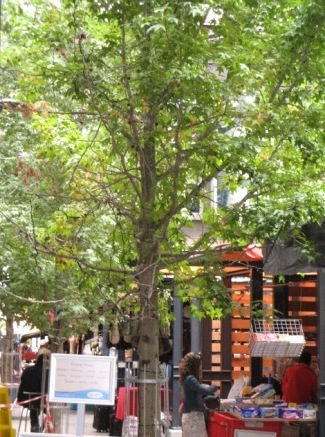 Being in a very public space, a few factors have to be taken into consideration such as the safety of pedestrians, the traffic and access to the corridor, the navigation between other construction elements happening at the same time and of course the safe handling of each tree to ensure it survives the transplant in such a harsh environment. 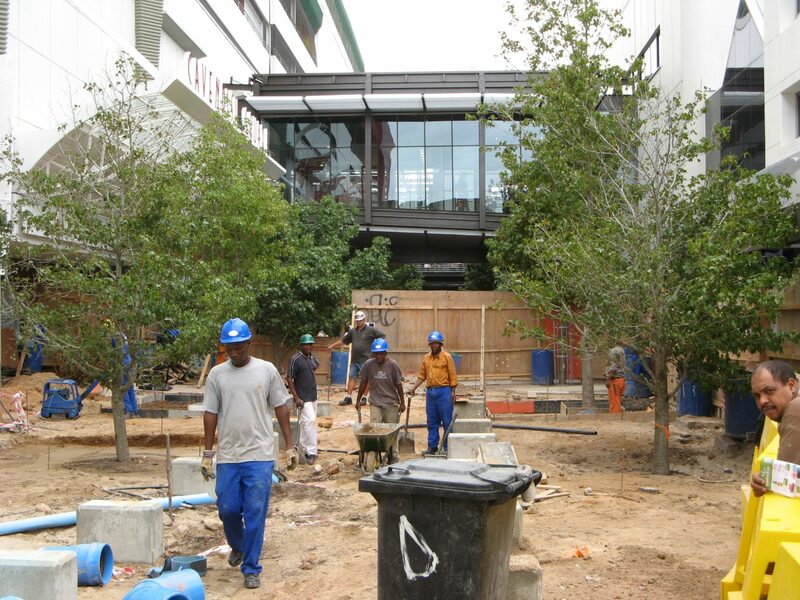 Special aftercare services were employed which included root zone treatment as well as tree monitoring in terms of the soil moisture of the rootballs to ensure the survival of the trees post-installation. 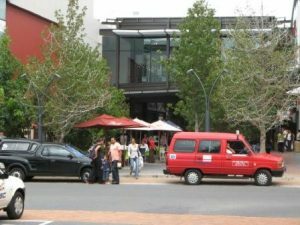 This prime shopping destination receives heavy foot traffic every day of the week, and the day traders and small cafés in the corridors can produce a lot of interesting smoke and smells and waste after a long day of production. 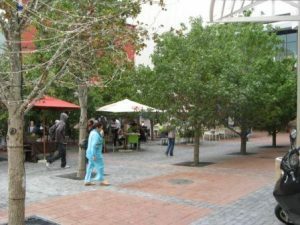 Our trees had to be able to survive these unforgiving urban aspects to their new homes, which is why the hardy Liquidambar species was a perfect choice. 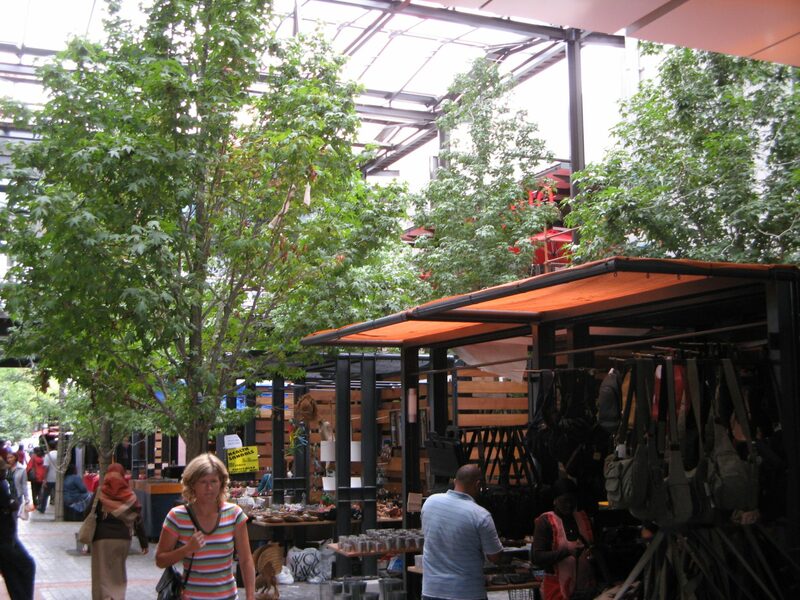 Also growing in a more upright manner, it creates the space while still providing the shade in the summer months. 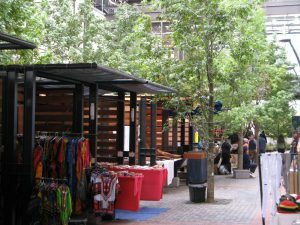 In Autumn the trees bedazzled their shoppers with beautiful red, yellow and purple colours and put up a show in December when they were decorated with fairy lights. After 10 years, the trees are thriving and completely established in their new environment. 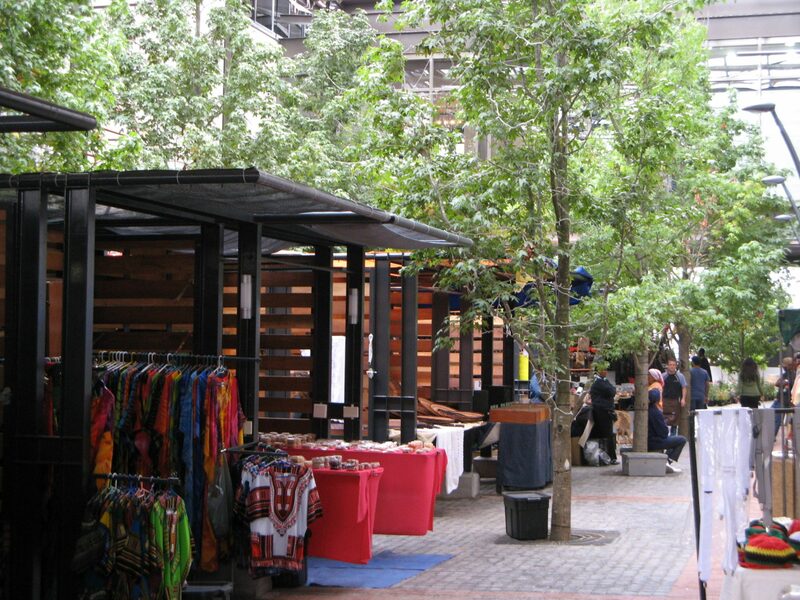 Be sure to contact us for the successful establishment of mature trees in the urban space.